Negotiations towards a comprehensive new agreement between the European Union and Azerbaijan are ongoing and have been conducted on a regular basis both in Baku and Brussels, an EU spokesperson told Trend Sept.10. “Our intention is to conclude negotiations without delay. Both sides have demonstrated a strong commitment to progressing in the talks and we are looking forward to the next round that will take place in the near future,” said the spokesperson. 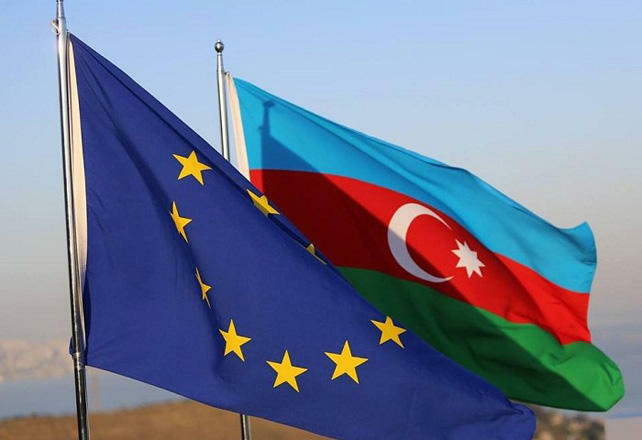 Discussions have been held in a constructive spirit and there is a strong will on both sides to have an ambitious agreement that replaces the current Partnership and Cooperation Agreement of 1996, reflecting the significant development of relations between EU and Azerbaijan since then, according to the EU spokesperson. The EU spokesperson pointed out that the focus is on concluding an ambitious text that reflects well the current cooperation between EU and Azerbaijan, the fact that Azerbaijan is an important partner for the European Union and that allows our relationship to reach its full potential. However, the spokesperson noted that no name has been decided yet for the new agreement. In November 2016, the EU Council issued a mandate to the European Commission and the High Representative for Foreign Affairs and Security Policy to negotiate on behalf of the EU and its Member States a comprehensive agreement with Azerbaijan. The new agreement should replace the partnership and cooperation agreement of 1996, which would make it possible to take greater account of the common goals and challenges facing the EU and Azerbaijan today. At present, bilateral relations between the EU and Azerbaijan are regulated on the basis of the partnership and cooperation agreement, which was signed in 1996 and entered into force in 1999. The new agreement provides for the approximation of Azerbaijan's legislation and procedures to the most important international and trade norms and standards of the EU, which should lead to improved access of Azerbaijani products to the EU markets.